This article was peer reviewed by Moritz Kröger and Tom Greco. Thanks to all of SitePoint’s peer reviewers for making SitePoint content the best it can be! In this article we’ll look at what Monkey Patching is and work through some different examples, using it to change the functionality of a third-party widget to suit our requirements. Monkey Patching (hereafter referred to as MP) is a technique to override, extend or even suppress the default behavior of a code segment without changing its original source code. This is done by replacing the original behavior with a fixed version. 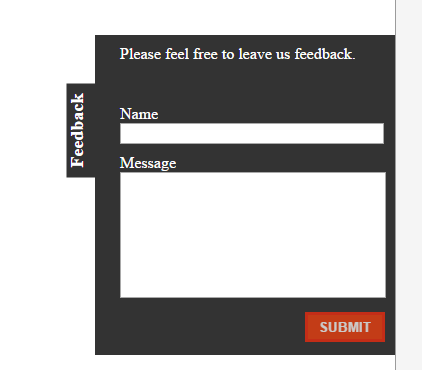 This article will use an existing feedback box widget which displays a simple, slide-able Popup, as seen in the figure below, containing a feedback form. The source code was modified to include use-cases which act as the MP targets. By target I mean a specific piece of functionality, feature or, at the lowest level, method which we are going to patch. Another modification I made was to remove the immediately invoked function expression (IIFE) surrounding the code. This was done in order to focus on the techniques of MP. You can find the whole example, including the monkey patches discussed in this article, as a Plunker. Isn’t Monkey Patching a Bad Practice? Let’s get one thing straight before diving into business: Yes, MP is considered a bad practice — so is the evil eval, imperative programming, mutable data structures, two-way binding and so on. If you use any of those there will likely be a decent-sized group to tell you you’re doing it wrong and should change this or that to fit a better condition. But as always, there are different tools and techniques available which vary in their suitability for certain scenarios. What seems extreme, crazy, or simply bad sometimes may be the last resort for a specific case. Unfortunately, because some practices are seen as bad you won’t even find a lot of articles describing how to do the wrong thing the right way. The situation described here might be an unnatural one, driven to the extreme with a fake widget, to show what your options are. You, as the reader, then have to decide whether you like what you see or not. If nothing else, after reading this you will have a better understanding in order to argue against MP. 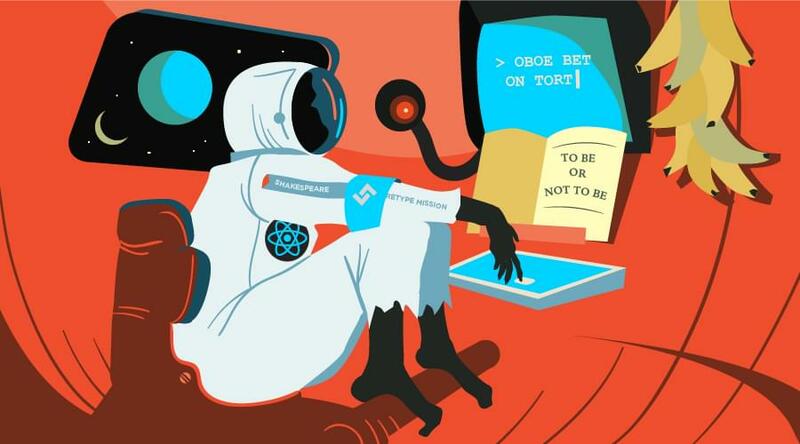 Before we dive into the techniques let us first examine what we’d like to achieve. The modified widget has a few code smells we’d like to work around. As you can see it sets the background-color property via the jQuery method css. That’s a problem since we’d like to have this specified via stylesheet rules. While developing the widget, a console log was used give the dev hints about what currently is executing. What might be a nice approach during development, for sure is not the nicest thing to do in a production use. As such we need to find a way to strip all those debug statements. The widget is great, but it has one strange behavior. Each time you initialize the script, it will make a request to a strange ad server and display unnecessary bloat on our page. NOTE: The demo code targets a JSON file inside the Plunker to simulate an outgoing Ajax request, but I hope you get the point. One of the key concepts of MP is to take an existing function and augment it with custom behavior before or after the call to the original code. But calling the original implementation is not always necessary as sometimes you just want to replace it with your custom actions. This approach is ideal to help us to solve the hardcoded background color. The location where you apply your MP needs to be after the original implementation is loaded and available. Typically you should strive to apply your changes as close as possible to the target, but keep in mind that the implementation of the target might change over time. As for our example, the initialization along with the MPs will go into the file main.js. Looking at the widget implementation, we can see there is a FeedbackBox object which serves as the widgets root. Later on the toggleError function is implemented on it’s prototype. The new implementation now simply adds an error class to the given element and thus allows us to style the background color via css. In the previous example, we saw how to overwrite the original implementation by providing our own. Taking care of the console logs on the other hand is supposed to essentially only filter out specific calls and suppress them. The key to success is to inspect the code you’re embedding and try to understand it’s workflow. Typically this is done by firing up the developer console in your browser of choice and peek into the loaded resources, add break points and debug target code parts to get a feel for what it does. This time, though, all you need to do is open up the implementation from the Plunker example called vendor/jquery.feedBackBox.js in another tab. By looking at the debug messages we can see that each one of them starts with FeedbackBox:. So an easy way to achieve what we want is to intercept the original call, inspect the provided text to be written and call the original method only if it does not contain the debug hint. In order to do so lets first store the original console.log into a variable for later use. Then we again override the original one with our custom implementation, which first checks whether the provided attribute text is of type string and if so, whether it contains the substring FeedbackBox:. If so, we’ll simply do nothing, otherwise we’ll execute the original console code by calling its apply method. Note that this method takes the context as first parameter, that means the object on which the method should be called, and a magical arguments variable. The later is an array of all the arguments originally passed in to the original console log call. NOTE: You may wonder why we haven’t simply forwarded the text attribute. Well console.log actually can be called with endless parameters, which in the end will be concatenated to a single text output. So instead of defining all of them, which can be quite hard for endless possibilities, we simply forward all whats coming there. The first idea might be to open up the browser and search for how to overwrite a jQuery plugin. Depending on how good your search skills are you may or may not find a suitable answer. But lets stop for a moment and think about what actually happens here. No matter what jQuery does with its ajax method, at some time it will eventually create a native XMLHttpRequest. We see that a new instance of XMLHttpRequest is created. It has an onreadystatechange method we actually don’t care about, and then there are the open and send methods. Great. So the idea is to monkey patch the send method and tell it not to execute calls to a specific URL. Well, it turns out you can’t get the targeted URL from the object itself. Crap. So what do we do? We make it available on the object. Looking for the first chance to get hold of the URL, we can see the open method accepts it as the second parameter. In order to make the URL available on the object itself, let’s MP the open method first. Besides that, we call the original open method and do nothing more. What we saw here is a short introduction to using Monkey Patching to change the behavior of code at runtime. But, more than that, I hope the article was able to give you an idea how you should approach a problem with monkey patches. While the patch itself is often quite simple, it’s the idea of how and where to adjust the code at runtime that’s important. Also, I do hope that, regardless of how you feel about Monkey Patching, you’ve had chance to see the beauty of working with a dynamic language, allowing you to change even native implementations dynamically at runtime.